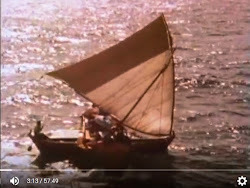 "Carolinian Voyaging in the New Millenium"
With many thanks to Eric Metzgar, Ph.D., of Triton Films, I'm reprinting below his excellent piece "Carolinian Voyaging in the New Millennium". expanded beyond the Carolininan-Marianas voyaging renaissance into a pan-Carolinian movement with navigators using traditionally-made canoes to make two-way voyages from Yap to Palau in the west and from Polowat to Pohnpei in the east. 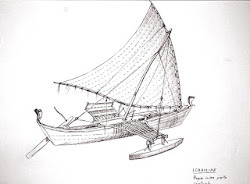 Using ancient knowledge of non-instrument wayfinding that had been handed down for generations, master navigators (palu) from Polowat and Satawal in the later part of the last century rediscovered the 500-mile (1) sea route from their islands in the central Carolines (2) to Saipan and Guam in the Marianas archipelago. In so doing they sparked a renaissance of Carolinian-Marianas voyaging that continues today. First to rediscover the passage from the Caroline Islands to the Mariana Islands were Hipour (from Polowat) in 1969, Repunglap and Repunglug (from Satawal) in 1970, and Ikuliman (from Polowat) in 1972. (3) These master navigators have now passed on but their names are legend inside and outside their island domains. (4) Ikuliman died in 1983, Repunglap and Repunglug in 1999 and 2003 respectively, and Hipour in 2001. With their passing and a host of others who have played their part, it falls to succeeding generations of palu to carry on the voyaging traditions of old into the new millennium. Several master navigators living today in the Caroline Islands and the Marianas Islands are actively supporting the revitalization of navigation traditions. Many of these navigators have been recognized previously in published articles but some have not, either because they were formerly apprentices who only recently came of age as palu master navigators or the nature of their contribution has been that of teacher more than voyager. In addition, there are many others in “the background” who have participated in significant ways to the reinvigorization of the Carolinian voyaging movement — both men and women — whose storied achievements and contributions have yet to come to light. To these persons, in omitting them here, I tender my humble apologies. The beginnings of the Carolinian voyaging movement is primarily documented from 1969 to 2001 in three published articles. First, there is Michael McCoy’s article, “A Renaissance in Carolinian-Marianas Voyaging” (1976) which describes the genesis of the movement and the initial voyages that took place between 1969 and 1976. Secondly, there is Reilly Ridgell, Manny Ikea (Sikau), and Isaoshy Uruo’s article, “The Persistence of Central Carolinian Navigation” (1994) which focuses on the question of 294 Carolinian Voyaging in the New Millennium whether or not there was a decline from 1976 to 1994 in “qualified” navigators capable of sustaining Carolinian-Marianas voyaging. In looking at the number of voyages accomplished and by comparing names of master navigators alive in 1976 and those in 1994, the authors concluded that there had been no decline in the “renaissance” described by McCoy. Third and lastly, there is William Flood’s article, “Carolinian-Marianas Voyaging: Continuing the Tradition” (2002) which reports on the voyages that had taken place nearly every year between 1994 and 2001. His investigation concluded, like the authors in the previous article, that the “renaissance” was alive and well. Much of the success of the Carolinian voyaging movement may be attributed to the direct participation of Pius “Mau” Piailug, the famed master navigator from Satawal, who early on in the Carolinian-Marianas “renaissance” navigated a one-way voyage from Saipan to Satawal in 1973. (5) In the following year, he made the two-way voyage between Satawal and Saipan. Piailug holds the record for the number of Carolinian-Marianas trips completed — no less than ten passages using Satawalese built single-outrigger voyaging canoes (6) — so many journeys that observers have more or less stopped counting. (7) On the later voyages Piailug has acted in a supportive role as backup navigator, thus enabling two of his sons, Sesario Seweralur and Anthony Urumeng, to complete their apprenticeship as captains. It is important to recall that the art of navigating using traditional methods has never died out in the central Caroline Islands as it has in other areas of the Pacific. The knowledge has survived relatively intact because of the geographic remoteness of the islands and also, perhaps, because of a quirk of history. After WWII when the political entities of the Trust Territory of the Pacific Islands were established by the United States under an United Nations mandate, the division line between the Truk District (now Chuuk State in the Federated States of Micronesia) and the Yap District (now Yap State in the Federated States of Micronesia) was drawn between the islands of Polowat and Satawal. The administration of these islands was and still is independent of each other. This has resulted in no regularly scheduled ship service connecting Satawal and Polowat. Goods and services reach Satawal via an inter-island government ship originating from Yap, and for Polowat another ship originates from Chuuk. Satawal and Polowat are culturally very similar, speak dialects of the same language, and intermarriage between the populations is common. The need for socialeconomic exchange is paramount. Since government ship service is infrequent at best the only other alternative for social exchange between the islands is contact via community owned motorboat or voyaging canoe. Motorboats are a prohibitively expensive option for making the 260 mile round-trip journey so voyaging canoes fill the gap. The knowledge and practice of voyaging between Yap and Chuuk has also survived out of economic necessity. Navigators in the remote Outer Islands of Yap (where Satawal is located) and navigators in the Western Islands of Chuuk (where Polowat is located) often undertake trips to uninhabited islands to harvest protein-rich food resources such as fish and sea turtles. Satawal’s harvest island, West Fayu, for example, is 41 miles away, which is a one-day voyage when wind and weather are favorable. Pikelot, an alternative harvest island 57 miles away, normally takes an overnight voyage since it lies in the direction of the northeast trades and often requires beating upwind to reach landfall. Satawal and Polowat share in the resources of Pikelot, but for Polowat the journey is more distant at 111 miles. Despite this distance, which often takes two days of sailing, the desire for sea turtles on the part of Polowat is such that a week or more spent in harvesting the resources of the island is deemed well worth the arduousness of the voyage. During the Spanish administration of the Carolines in the nineteenth century, long distance voyages between islands were not uncommon. A system of political, economic, and religious ties called sawei connected all the inhabited islands in the central Carolines to Gagil district in Yap. In ancient times this so-called “tribute system” (8) stretched over 700 miles from Yap nearly to Chuuk. (9) In the middle of the nineteenth century Polowat stopped participating directly in the sawei system and began to send tribute through Satawal navigators rather than through their own representatives (Lessa 1950: 42). In a series of linked fleet voyages that would take place about every two or three years, Satawal canoes would collect the tribute from Polowat 130 miles to the east and return to Satawal. Satawal navigators would then deliver the sawei tribute to Lamotrek 38 miles to the west. Continuing west, Lamotrek navigators would take the tribute and deliver it to Woleai (150 miles). 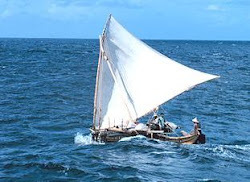 Woleai would then take charge of the tribute from the Lamotrek navigators and sail to Fais (244 miles) — the longest leg between islands in the sawei system — where they would pick up the Fais tribute and proceed northwest to Ulithi (53 miles). Twenty-two canoes filled with tribute would then sail in a final fleet convoy from Ulithi southwest to Yap (about 100 miles). (10) The sawei system still functions today but without the traditional voyaging component. After WWI the Japanese administration prohibited longdistance voyaging between the islands. This resulted in a drastic reduction of voyaging throughout the area and subsequent decline of navigational know-how. Inter-island voyaging was further reduced with the installation of foreign ship service under the Japanese which continued after the American administration got underway after WWII. Today, navigators living on the following Carolinian islands are still believed to have the ability to make inter-island voyages: Satawal, Polowat, Pollap, Pulusuk, Tamatam, Lamotrek, Woleai and Ifaluk. Of this group only Satawal and Polowat may be said to be fully engaged in the practice of long-distance voyaging as evidenced by their participation in the Carolinian-Marianas voyages in past decades. The geographic, cultural, and socio-economic realities of the populations living on Satawal and Polowat are unique in that they have continued to foster the preservation of long-distance voyaging practices when others have not managed to do so to the same degree. Voyaging as a survival mechanism undoubtedly plays a large part in explaining this phenomenon but pride in navigational prowess must also be a contributing factor. In social interactions amongst Carolinians there is fierce competition between navigators to demonstrate their expertise. When Hipour sailed to Saipan from Polowat in 1969, Satawal rose to the challenge with a voyage of its own to Saipan in 1970, to which Polowat answered with a voyage to Guam in 1972, then countered by Satawal with another voyage to Saipan in 1973. Undoubtedly, the successful “renaissance” of Carolinian-Marianas voyaging in the past thirty-six years is due in part to the competitive spirit that prevails between Satawal and Polowat. Measure for measure, Satawal and Polowat have been vying with each other for over three decades now in their sailing expeditions to the Marianas Islands. This rivalry came to a head with a fleet voyage in April 2000 in which both Satawal and Polowat participated. Not since the turn of the 19th century had canoes from these two islands sailed together. (11) Dubbed the “Millennium 2000” voyage, the plan was for three canoes from Satawal to sail together with three canoes from Polowat and arrive together at Tanapag Harbor in Saipan. 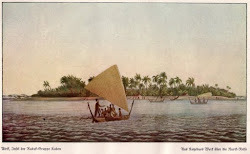 Competing interests between Satawal and Polowat, however, made it difficult for all the canoes to sail together and the voyage more or less turned into a challenge to see who could get to Saipan first. Nevertheless, in the end the Office of Carolinian Affairs in Saipan forced the issue of equanimity and all six canoes were coaxed into entering the channel at Tanapag together. In 2000, TSS began construction of a canoe house using traditional materials. Its purpose was to house a Carolinian waserak voyaging canoe and to be used as a place to build a Chamorro sakman “flying proa.” (15) Manny Sikau, a Polowat navigator living and working in Guam, directed the construction of the canoe house and taught a navigation course at the University of Guam at the same time. Sikau’s interest in traditional navigation is longstanding. At the age of thirteen, Manny Sikau accompanied his grandfather, Ikuliman Sikau, on one of the first “renaissance” voyages from Polowat to Guam in the early 1970s. (16) Manny Sikau is dedicated to keeping the traditional seafaring arts alive and it is largely because of his participation that TSS is carrying out its objectives to reviving the navigational and canoe building arts on Guam. In 2001, with funding from a Guam Visitors Bureau grant, the TSS participated in the sailing of two canoes from Polowat to Guam. 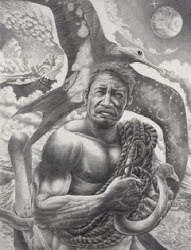 The 30-foot Halametaw was captained by Sikau and the 23-foot Quest was captained by Santiago Onopei, with Sikau acting as principle navigator on the voyage. The Polowat-Guam trip took seven days, an estimated voyage of 505 miles, with a layover on uninhabited Pikelot. 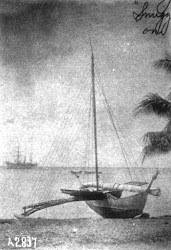 After reaching Guam both the Quest and Halemetaw sailed 120 miles direct to Saipan in three and one-half days, Sikau again navigating. 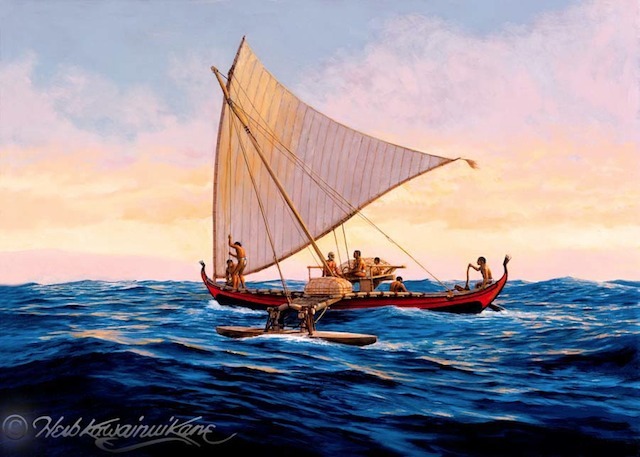 Afterwards, the Halemetaw sailed back to Polowat, this time navigated by Satorino Ainam, and the Quest, captained by Sikau, sailed back to Guam where it was purchased by TSS and took up permanent residence. On both legs of the Guam-Saipan-Guam trip members of TSS exchanged places as part of the crew, including the original co-founder of TSS, Vincente M. Diaz. (17) The current faculty advisor of TSS, Lawrence J. Cunningham, who is a professor at the University of Guam, took part along with two other TSS members in the first voyage on the Halemetaw which sailed from Polowat to Guam. After making the voyage to Guam from Polowat in 2001, Sikau directed the construction of the original canoe house for the Quest at Paseo de Susanna. Later that year, he was named the Guam Traditional Teacher of the Year by the Guam Humanities Council. I happened to meet Rapwi in Colonia, Yap in July 2001 not long after he had completed his voyage back to Polowat from Pohnpei. I asked him why he did it. He said, “To show them.” By “them” he met his fellow navigators. I did not press him for details. This, I had learned from other Islanders in the past, was a common explanation for why navigators would make hazardous voyages from time to time. It was a perceived responsibility to the knowledge that had been passed down to them by their fathers, uncles, grandfathers, and ancestors, both male and female, perhaps reaching back to the mythological time when the daughter of a chief on Pollap first learned navigation from a bird-spirit named Kulung. (20) One of Rapwi’s older brothers, Repunglug, said the same thing about why he chose to risk life and limb when he sailed from Satawal to Saipan, thus kicking off the Carolininan-Marianas voyaging “renaissance” in 1970. When I met Mau Piailug on Satawal in 1988 he showed me the canoe that he planned to use to sail to Saipan in the spring of the following year. When I asked him, “Why?” it was the same response. “To show them,” he said. The pride of these navigators runs deep and certainly must be one of the major reasons why Carolinian navigation traditions endure. Pikelot and shipwrecked. He was there for seven months until two canoes from Polowat showed up. He and his crew were rescued to Satawal and eventually Urupiy made it back to Lamotrek. In 1990 Urupiy started a “renaissance” of his own — the resurrection of the pwo navigator initiation ceremony on Lamotrek, located 38 miles west of Satawal. 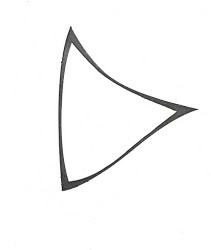 Pwo is the equivalent to a graduate doctorate degree in knowledge of traditional navigation and involves additional instruction in the more esoteric-related aspects of traditional navigation such as chants for calling upon patron spirits. The last time a pwo rite of-passage for apprentice navigators had been performed was when Mau Piailug was “graduated” on Satawal in 1952. (21) The mass Christian conversion of whole island communities in the central Caroline Islands in the early 1950s coupled with western influences and modern technology had resulted in opposition to many traditional rituals connected to the spirit world. Consequently, Piailug and one other navigator apprentice (now deceased) were the last to receive a formal initiation until Urupiy resurrected the pwo ceremony on Lamotrek in 1990. Until then this ancient ritual had edged closer and closer to extinction with the demise of master navigators qualified to perform the sacred rites, such that only a handful of navigators were left who had gone through pwo and fewer still who actually remembered the chants to perform it. The early leaders of the Carolinian-Marianas voyaging “renaissance” — Hipour, Repunglug, Repunglap, Ikuliman, and Piailug — had all been initiated in the pwo ceremony when they were young men. Many others as well, including Urupiy, had become pwo navigators but the majority of these navigators had been initiated many years before in the 1930s. By the time the “renaissance” had gotten under way in the 1970s and 1980s most of the elder pwo navigators were well into their sixities and seventies (with the notable exception of Mau Piailug) and the pwo ceremony was in danger of being forgotten. I first heard about the pwo ceremony on Lamotrek in 1978 when I was doing research on traditional Carolinian arts and skills, but the adoption of Christianity on the island at that time suggested that the ritual was obsolete. With further research on Lamotrek in the 1980s I realized that I might have been too hasty in my judgment on the matter. Through my friendship with one of Urupiy’s sons, Ali Haleyalur, I learned that Ali as a navigator-intraining still held out the hope that he might someday be initiated by his father in the pwo ceremony. During this time there also seemed to be a growing awareness amongst Islanders in the central Carolines that the “good” elements of the traditional belief system should be allowed to co-exist with those of Christianity, and that the traditional spirit world and arts and skills which stem from the traditional belief system need not altogether be abandoned. This position was gradually gaining support by the advent of indigenous priests newly ordained, who were taking over the roles that formerly had been held by non-Islander priests. This opened the possibility in my mind that perhaps the pwo ceremony might not be “lost” after all. In 1988 in Colonia, Yap I began videotaping and recording the pwo chants that Urupiy remembered and with Ali’s help translated them. It was then that Ali and I both realized that Urupiy was indeed capable of performing the pwo ceremony, but we wondered if he would. The last pwo ceremony had been performed on Satawal in the early 1950s. I knew that other than a few brief descriptions and secondhand reports by anthropologists since the beginning of the 20th century, little was known about the pwo ritual because it had never been seen by a foreigner. I decided that it was worth a try to see if there was any way it could be revived and documented firsthand, so in 1989 I traveled to Yap specifically to find out. At this time Ali expressed concern that his father, because of his advanced years, might not be able to initiate him in the pwo ceremony if he waited much longer; so he mustered up the courage to ask Urupiy if he thought that he (Ali) was ready to be initated. Without any hesitation Urupiy surprised both of us when he readily agreed to perform the pwo ceremony for his son. It was as if Urupiy were just waiting for Ali to ask him. Now all Urupiy wanted to know was when he should plan to travel to Lamotrek to do it. At this point I asked Urupiy if it would be possible for me to make a film record of him performing the pwo ceremony. To which Urupiy replied saying that this would be a good idea because then many people would then see the film and learn the meaning of pwo. As a result, an extraordinary series of events were set in motion which ultimately culminated nine months later in the resurrection of the pwo ceremony by Urupiy on Lamotrek in May 1990, the formal “graduation” of five apprentice navigators, and my documention of the event in a dissertation (1991) and film (1996). The five navigators initiated were Ali Haleyalur, Carlos Yarofaireg, Xavier Yarofalyang, Robert Erailug, and Ambrose Yangarelmal. A couple of weeks previous to the performance of the pwo ceremony on Lamotrek, several navigators and chiefs from Polowat showed up in a large modern fishing boat. They were doing a sweep of the islands to catch turtles and take them to Chuuk to sell on the open market. They had already been to Pikelot and West Fayu collecting turtles and had arrived at Lamotrek to request permission to go to Olimarao for this purpose. (22) Present among the group of Polowatese was the paramount chief of Polowat, Manipiy Rapung, who was also a palu master navigator and a close relative of Urupiy. When he learned that Urupiy was planning to perform the pwo ceremony on Lamotrek he expressed great interest and asked if Urupiy would come to Polowat to do the same. Urupiy did not want to say no and discussed Manipiy’s proposal with his family. The idea was nixed when Urupiy’s six daughters expressed concern for Urupiy’s health, fearing that the journey would be too difficult for him and that Urupiy might be waiting a long time on Polowat before such an event would take place. Years later, however, chief Manipiy would eventually be successful in talking Hipour into conducting the pwo ceremony on Polowat. In the summer of 1997, Hipour performed the ritual for four initiates: Manny Sikau, Rainam Edward, Lasin Dilipy, and Deo Onopey. (23) The reader will note that one of the initiates is the same Manny Sikau who has been described earlier as a leading member of the Traditional Seafaring Society on Guam. Independent of chief Manipiy’s efforts, another Carolinian islander had been attempting to ressurrect the pwo ceremony on Pollap, a neighboring island some 22 miles from Polowat. For years, Lambert Lokopwe had been looking for a palu master navigator who would be willing to come to his island, Pollap, to perform the pwo ceremony for himself and other qualified apprentices. Coincidentally, he succeeded in doing so in the summer of 1997 after the pwo ceremony was performed on Polowat. When I was visiting Chuuk in June 1999, I had a meeting with Lokopwe to get the details of what had happened at that pwo and to talk about a videotape that had been made of it. A Japanese film crew had documented the event at Lokopwe’s request and sent VHS copies of the event to him. (24) In the video, “Pwo Ceremony, Pollap, Micronesia” (Visual Folklore Inc. 1997) which Lokopwe received it is worth noting that Lokopwe was interviewed oncamera as to why he wanted to be initiated in the pwo ceremony. He said, “It will permit me not only to sail and navigate, but the idea of navigation and the ceremony of pwo itself and the teachings of pwo themselves will enable me to acquire other basic knowledge of our ways of life.” Lokopwe is unique in that he already was a senior master mariner in the Federated States of Micronesia (FSM) before he became an initiated navigator. He also holds a FSM Unlimited Master’s License in modern navigation, yet Lambert felt that that this was not enough. 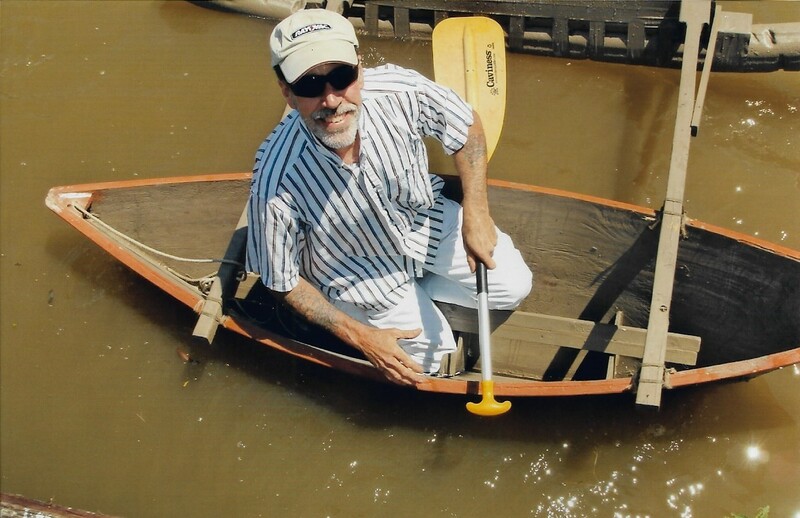 He had been studying traditional navigation techniques all his life and he wanted the distinction of being recognized as a traditionally licensed navigator. In addition, he lamented the fact that his home island of Pollap had “lost” the ability to perform the pwo ceremony. This was particularly unfortunate, he said, because in their folklore Pollap is always cited as the island where navigational knowledge was born. (25) After several attempts, Lambert finally convinced Ignathio Epeimai a senior navigator from Satawal to perform the pwo ceremony on Pollap. In addition to Lambert Lokopwe four other navigators were initiated: Francis Sermanyoung (from Satawal), Tobias Urupa (from Satawal), Martel Ikimaur (Pollap), and Hillerio Aitiluk (Pollap). In July 2000, Lambert Lokopwe, now a traditional palu navigator in his own right, performed a pwo ceremony on Pollap for six apprentices. Assisting him in the performance of the ritual and testing of the initiates was Mau Piailug, directly returned from his participation in the “Millennium 2000” voyage. Compared to other pwo ceremonies, this is probably the largest on record to date, both in the number of persons initiated and the number of witnesses in attendance. (26) Six navigators were “graduated” on Pollap this time: Akin Yourpi, Jesse Kaius, Jerry May, Michael Olodey, Sisines Molupto, and John Sandy. (27) Besides the principle participants and general public on Pollap, Lokopwe put out the word that anyone who wished to come was welcome to attend and would be fed and taken care of while on the island. Those who got the message and decided to go had a choice of one of three FSM government ships they could board for Pollap — the Caroline Voyager from Pohnpei, the Micro Glory from Chuuk, or the Micro Spirit from Yap. People from all over Micronesia came including dignitaries from Guam and Saipan. In addition, the Governors of Chuuk and Yap, their associates, and members of the Guam and FSM news media were also in attendance. In June 2002 a “Pwo-Ordination” ceremony was performed on Satawal, but unlike previous pwo ceremonies, this event was not an authentic pwo ritual. For the first time, a son of Satawal, Kenneth Urumolug, was ordained as a Roman Catholic priest. His ordination was performed first in the Catholic church on Satawal by the Bishop of the Catholic Diocese of the Caroline Islands, Amando Samo. Directly afterwards, a much abbreviated pwo ceremony (28) was performed outside the church by Mau Piailug. A video entitled, “Becoming a Navigator, Becoming a Priest” has been made of the event by UNESCO (2004). (29) The title of the video is misleading, however, since Fr. Kenneth Urumolug did not actually become an initiated navigator in the classic sense, but rather, in the words of Bishop Samo who was interviewed by the UNESCO film crew, he became a “spiritual navigator.” (30) Obviously, the pwo ceremony was being used as a metaphor; nevertheless this created some confusion in peoples minds. In an interview given by Piailug to the UNESCO camera crew, he is highly critical of the reasons for which he is being asked to perform a pwo ceremony when he does not know for sure that Urumolug wants to become a traditional palu navigator and learn to voyage to other islands. In another scene, Piailug again raises his objection to how the pwo ceremony is being adapted to the Catholic Ordination ritual, and leaves no doubt that he feels it is an inappropriate use of the pwo ritual. So, the viewer has to wonder, why is Piailug agreeing to do something that he knows is wrong? The answer, we learn from Piailug himself is that he feels he has no choice in the matter. He tells us that he has been called upon by the chiefs of Satawal to perform the pwo ceremony because it is the wish of the island community and the Catholic church. Even though Piailug obviously has misgivings about what he is being asked to do, he chooses to put aside his own feelings on the matter and accepts (reluctantly) the will of the powers that be. than take over command, it was believed that Piailug was letting his son make his own mistakes. The sailors were found exhausted and without water and were given emergency supplies by the Coast Guard so they could complete their trip, which they did a few days later. it made its entrance along with another smaller canoe which had also orginated in Yap. This canoe had been purchased from Woleai by the NMI Canoe Federation in Saipan and shipped to Yap where it was then piloted to Palau by Anthony Urumeng, another of Mau Piailug’s sons. In December of 2002, typhoon Pongsona destroyed the Traditional Seafaring Society’s (TSS) canoe house in Guam and seriously damaged the 23-foot Quest which had been purchased from Polowat and sailed to Guam in 2001. Members of TSS spent most of 2003 repairing the typhoon damage to the Quest so they could attend the 9th Festival of Pacific Arts (FESPAC). 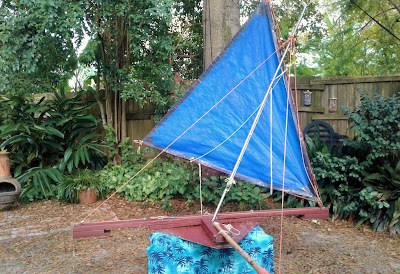 After the Quest was repaired and seaworthy again it was shipped to Palau where it participated in the opening ceremonies of FESPAC with Manny Sikau as captain. 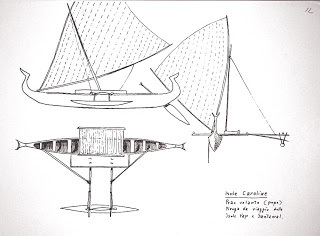 As might be expected, the rivalry between Satawal and Polowat and their navigational skills surfaced with the Satawalese contingent feeling somewhat superior because they made the sail from Yap to Palau and the Polowat canoe had not. Nevertheless, as evidenced in the past, this competition has probably done more to benefit the Carolininan voyaging movement than inhibit it. It was the same with their navigator forebears and probably will remain — this navigator brethren who share a mutual bond with the sea and sailing to distant islands. Federation on Saipan and the Traditional Seafaring Society on Guam to support enduring voyaging communities on their own islands? Only a new generation of navigators born in the new millennium will be able to answer this question. Marianas Islands commonly involve setting a course 10 degrees or more east of the rhumb line with the intent of coming downwind to the Marianas chain. 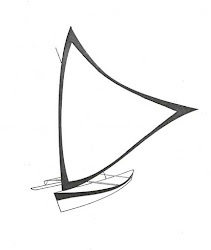 This can add 50 miles to the rhumb line distance and more if tacking upwind is necessary (cf. Lewis: 1978: 177). 2 All the coral atolls and raised islands east of Yap and west of Chuuk are referred to here as the central Caroline Islands. This geographical area extends from Ulithi in the west to Namonuito in the east. The Carolinian culture realm also reaches east into Chuuk and its northern and southern outer island groups (Hall Islands and Mortlock Islands respectively) and west into the outer islands of Palau (Sonsorol, Pulo Anna, and Tobi). 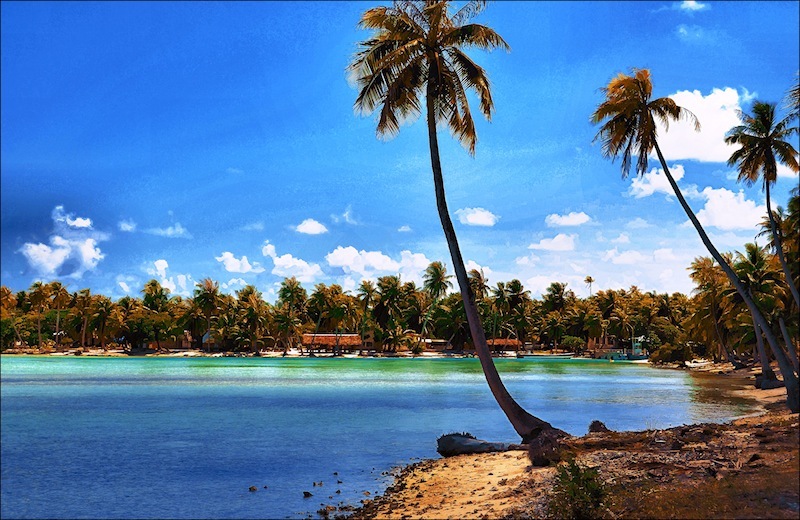 Carolinians also settled in the Mariana Islands during the early 19th century (Guam, Saipan, Tinian). 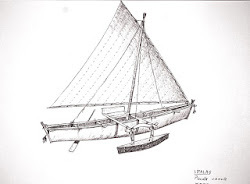 3 The Carolinian-Marianas voyaging renaissance is often cited as beginning with Hipour’s “demonstration” voyage in David Lewis’ ketch, Isbjorn, which sailed from Polowat to Saipan and back to Polowat in 1969 using only traditional methods. 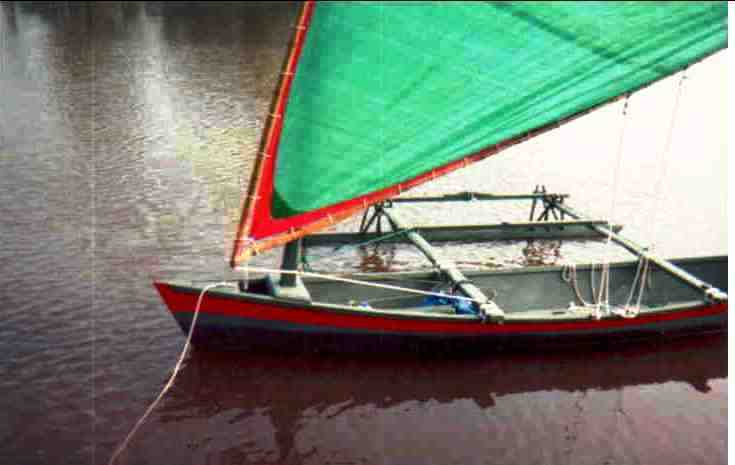 The following voyages by Repunglap and Repunglug in 1970 and Ikuliman in 1972 were accomplished using traditionally-made sailing canoes. 4 Hipour, Repunglap, Repunglug, and Ikuliman are recognized outside Micronesia chiefly because of the seminal writings of Thomas Gladwin (1970) and David Lewis (1972). 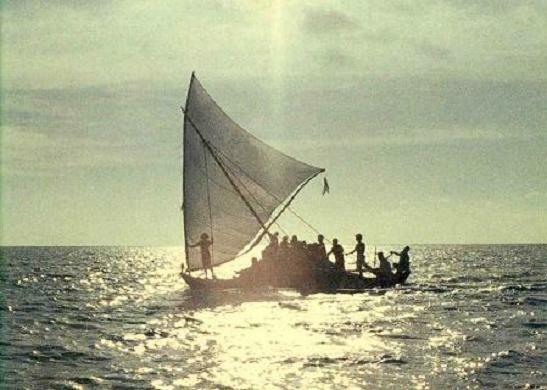 5 This was before Mau Piailug achieved international recognition in 1976 by guiding the Hokule’a from Hawaii to Tahiti without instruments, a distance of 2,400 miles. 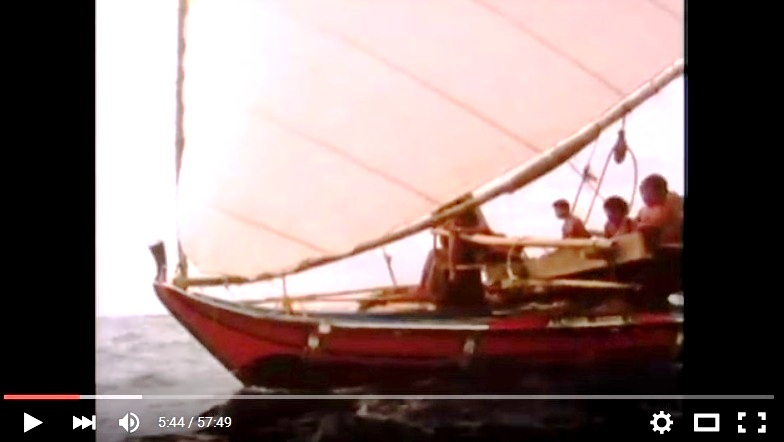 7 Another passage that Piailug made from Satawal to Saipan was completed in the Hawaiian 54-foot double-hulled canoe, Makali’i, which was used in the “E Mau — Sailing the Master Home” voyage from Hawaii to Micronesia in 1999. Eauripik, and Faraulep. Chiefs and navigators whom I interviewed from Lamotrek and Satawal claimed that if navigators from these islands wanted to make the journey all the way to Yap (and back) they could but that their participation was not mandatory. 13 Personal communication 2005, Rob Erickson, President of NMI Canoe Federation. 2005, Judy Flores, former Folk Arts Coordinator for the Guam Council on the Arts and Humanities. 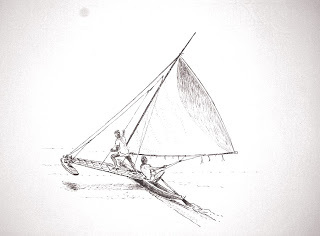 15 Actually, both Carolinian and Chamorro sailing canoes belong to the “proa” type. 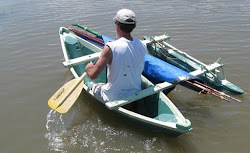 They both consist of a narrow canoe hull with an outrigger and float which is always kept to windward. 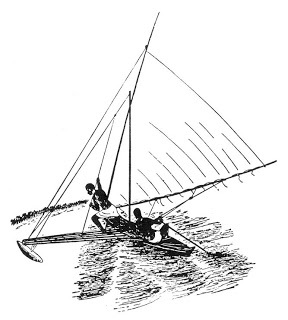 Instead of tacking, these vessels switch bow for stern by moving the sail and rudder in a manuver commonly refered to as shunting. The name “flying proa” was first applied to Chamorro canoes by early explorers who were impressed by their sailing qualities and is believed to have derived from the term “prahu”which is the general name for an Indonesian sailing boat. Whereas knowledge of the construction of Carolinian sailing canoes and methods of traditional navigation have survived fairly intact up to present times, Chamarro navigation and canoe building in the Marianas died out by the late 1700s. The Spanish settlement of Guam in 1668 and subsequent decline of the indigenous population as a result of warfare and disease took a heavy toll on Chamorro culture. 16 After Manny was initiated in the pwo navigator initiation ceremony on Polowat in 1997, he changed his last name from Ikea to Sikau in honor of his grandfather, Ikuliman Sikau. 17 Vincente M. Diaz is currently a professor at the University of Michigan but is still an active member in the University of Guam Traditional Seafaring Society. 18 The last Polowat to Pohnpei voyage is thought to have taken place around 1915. Cited in Lewis, David (1972: 53). 20 Kulung = Pacific golden plover (Charadrius). the conversion of the island to Catholicism. 22 Olimarao Atoll is under the control of Lamotrek. See Alkire (1965: 147-48) for discussion of islands claimed by Lamotrek. After a couple of days of talks, permission was denied to the Polowatese because of the number of turtles which they might take due to the large carrying capacity of their boat. This possibility was believed to have the potential of seriously compromising the harvesting of turtles on which the Lamotrek community depended. 23 Personal communication 2005, Manny Sikau via Lawrence J. Cunningham. 24 It is not known if a complete version of thisvideo has been made or if it is in distribution. All attempts by Lambert Lokopwe and myself to contact the producers have been unsuccessful. 25 This is true. Pollap (Pulap) is often cited as the island where Carolinian navigation originated. See Krämer (1935, 1937), Damm (1938), Lessa (1961), Mitchell (1973), Flinn (1992), and Thomas (1987). 26 I was allowed to videotape the major parts of this pwo except for one evening at Lesewa canoe house which was made taboo to everyone except Lambert Lokopwe, Mau Piailug, and the six initiates. 27 Names and spellings of the pwo initiates, allfrom Pollap, were provided by Lambert Lokopwe’s younger brother, Justo Lokopwe. performing the ceremony then ties a young coconut-leaf bracelet on the intiates’ right wrist and intones a chant, signifying that the initiate is a navigator. 30 Chief Manipy used a similar metaphor on Polowat in 1994 when he bestowed the honorary title of “Navigator to the Heavens” on Basilo Dilipy, the first Polowatese to become an ordained Roman Catholic priest (Wolfe and Pleadwell 1994). 31 The last time a similar voyage had been made from Yap to Palau was in 1994 when Piailug navigated the Mathawmwal, a traditional Yapese-made canoe. 32 In the process, Ali and I started the Urupiy Voyager Project in memory of his father Urupiy who passed away September 24, 2003. 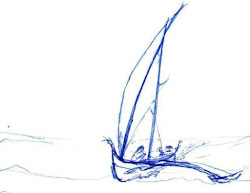 The purpose of the project is to raise the funds necessary to build a voyaging canoe and sail it in Urupiy's name to educate apprentice navigators in long-distance voyaging. 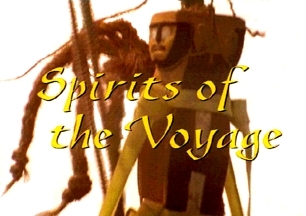 More information about the Urupiy Voyager Project is available on the internet at http://tritonfilms.com/urupiyvoyagerproj.htm. holds a M.F.A. in Motion Picture and Television Production and Ph.D. in Comparative and International Education from UCLA.